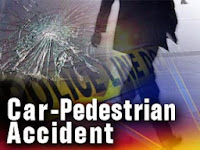 On October 5, 2016 at 8:04 p.m., Galloway Township Police responded to a motor vehicle collision involving a pedestrian at Jimmie Leeds Road and Ridgewood Avenue. According to Police, witnesses and evidence show that David T. Jackson, 61 of Galloway, was walking on Jimmie Leeds Road and crossed, southbound across the roadway, towards Ridgewood Avenue. 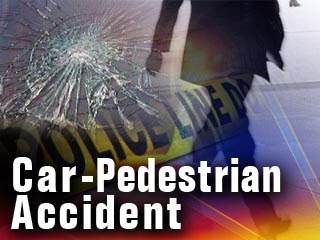 During this time, a silver 2002 Honda Accord, being operated by Bria M. O’Brien, 23, of Galloway, was traveling eastbound on Jimmie Leeds Road when Jackson crossed Jimmie Leeds Road directly into the path of O’Brien’s vehicle and was struck. Jackson was pronounced deceased at the scene. O’Brien was transported to AtlantiCare Regional Medical Center, Mainland Division, and treated for minor, non-life threatening, injuries. Jackson was the Township's Tax Assessor until he retired approximately two-years ago after 30-years of dedicated service. Galloway Twp. Ambulance Squad, AtlantiCare Paramedics, Atlantic County Prosecutors Office and Galloway Twp Police Department were assisting agencies in the accident. Anyone with additional information please contact Officer Gorneau at (609)652-3705 Ext 095.